When it comes to picking out countertops, few would argue that granite or quartz would top the list of choices. Both granite countertops and quartz countertops are incredibly durable, attractive and cost-efficient choices. When you stack the two against one another, however, which one is the best choice? The traditional answer to this has been granite, but upon closer inspection that choice may not be so cut and dried. Here is a look at both countertops, and how they compare to one another. Granite countertops are known for being very easy to care for. In comparison to traditional countertops, Granite is incredibly user-friendly. About the only thing you have to do to keep your Granite beautiful is to seal it once a year. Quartz countertops are even easier to maintain in that you do not have to seal them either. With the quartz countertop, you simply install it and wipe it down as needed. This is often spoke of as being the reason that quartz is superior to granite, but the truth is sealing your countertop is no big deal. If you are the type that likes to install it and forget about it, however, then quartz is the way to go. You literally have to do nothing once it is installed. Granite certainly is among the least porous countertops on the market, but they do not compare well with Quartz. When you work on top of a granite countertop, food and bacteria can become trapped in those parts that we cannot see. This can lead to sickness and all kinds of germs. Quartz countertops perform much better in this situation, and are much tougher to break through. They are literally like the ultimate shield against disease and germs. If you clean them often and use the proper sanitization, then either countertop would suit you very well. Granite and quartz are great with this, but quartz is the best in this category. There is nothing in the countertop market that can compare to a granite surface when it comes to appearance. Granite is naturally appealing and matches virtually anything you choose to do in your kitchen or bathroom. This is one of the primary reasons that granite is so popular. Quartz countertops are equally appealing in that you can literally match them to most color schemes. While the quartz countertops can be very beautiful, they do not even come close to competing with granite where appearance is concerned. Granite is by far the most attractive choice. That natural appearance is hard to beat. In the broad scheme of things, it would appear that granite is not so dominant after all in the world of countertops. Quartz countertops are actually superior to Granite in a number of ways. In spite of these advantages, the fact that Granite trumps quartz countertops in appearance is fairly powerful. For this reason, Granite still reigns supreme in the world of countertops. Does that perhaps someone has experience with sileston? I think it is better silestone enough material for kitchen granite slab, because there are a lot more quartz in its composition and therefore stronger and more resistant to scratches .. 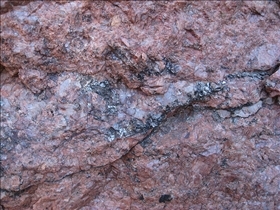 Granite is very good and is durable and long-lived. If it keeps a nice, clean, then Granit will your kitchen appear more beautiful and better. 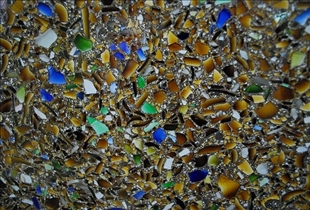 Silestone is a very high quality material, which is available in many attractive colors and unusual textures. Silestone offers the only brand countertops with an integrated sanitary protection, which offers maximum safety and cleanliness. I think that Granit is more adequate for Arbeitsplatten then Silestone but Silestone is streamlined so I don't no, what I would choose. I'm for Silestone, because it is more beautyful and modern.